Jesmonite is a versatile range of water-based, solvent free composite materials ideally suited to the creation of decorative mouldings and glass reinforced laminates. These materials have a range of unique properties, which contribute to strength, durability, non-toxicity, and the ability to comply with many of the necessary test requirements of the construction industry, specifically those in regard to fire performance and impact resistance. 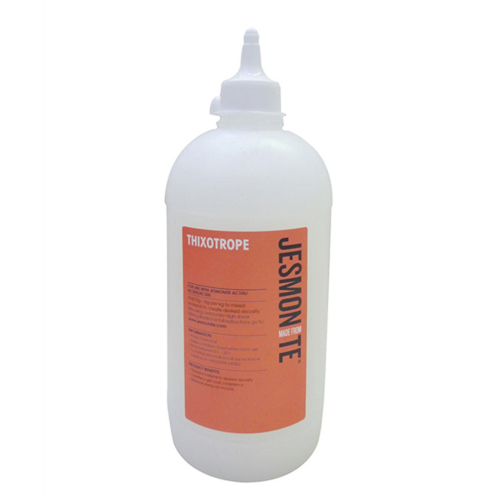 Thixotrope is added to the mix to thicken the material to a ‘Gel-Coat’ consistency and so that the viscosity of Jesmonite can be adjusted to the users preference. This is useful when brushing or spraying materials onto moulds with vertical faces as it prevents the material from slumping.